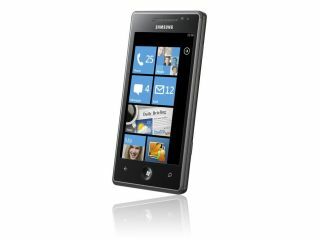 Will there be more delays to the long-awaited Windows Phone 7 update? Microsoft has said, through its French PR team, that Windows Phone will get its first major update in the second half of March. The update, which should bring copy and paste to Windows handsets, was originally promised for January, then pushed back toearly March. Now the official French Microsoft blog says, "We are delighted to share with you that this update will be available for the second half of March through your Zune software." Meanwhile, noted tech journalist Mary-Jo Foley has said that her Microsoft contacts told her the target rollout date is now 21 March. Given the strangely appropriate handle of 'NoDo', the update has also been demonstrated in a video by les Français, which shows off selecting, copying and pasting text. The software is also set to become nippier overall, thanks to the delayed update, with application start-up times improved. Microsoft recently released a minor software update to ready Windows Phone handsets for this more exciting software; unfortunately some Samsung owners hit a bit of a snag when installing. Those bugs should all be ironed out now, so come 21 March everyone should have a smooth update ride.